Stores are ready for the fall season and see the Labor Day weekend as the perfect opportunity to offer big sales to celebrate. Major retailers across the country have slashed prices to seasonal lows on items a range of merchandise from apparel to kitchen items. With savings of up to more than 50 percent, it's time to grab onto some great deals! Here are a few retailers offering fabulous deals this weekend. The online retailer has a sale across all of its departments. Grill masters can snag a new Atwood stainless steel barbecue tool kit . Other featured sale items include bedding, sunglasses , camping accessories , and home decor . If you have a hankering for handbags, then Bloomingdales has the sale for you! Major deals on designer bags including Michael Kors (seen below), Kate Spade and Tory Burch . Make cooking a homemade meal easier than ever with new cookware from Macy's. 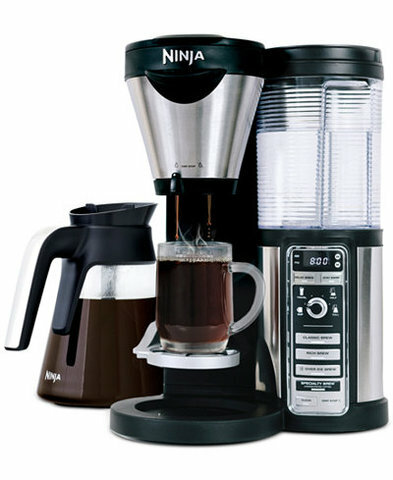 If you're a coffee lover, you might want to check out their closeout sale on a Ninja coffeemaker that can make your home feel like your favorite coffee bar. Now that the kitchen is stocked, how about dressing up the dining room? A colorful new stoneware set brings style and functionality to your best meals. The trendy clothing store has a buy one, get one 50 percent off sale shirts, including tank tops , tee shirts and tunics this holiday weekend. If you've been waiting to stock up on these wardrobe essentials, now is the ideal time to tuck away a few extra.